In a decision dated February 5, 2019, the Ontario Superior Court of Justice (civil courts) issued a $100,000 punitive order for conspiracy to defraud against Mr. Samuel Aremu after the Ontario Court of Justice (criminal courts) issued a conditional discharge to the same Mr. Aremu for possession of stolen property as part of the same fraud conspiracy case. Mr. Aremu was a conspirator with a Mr. Vincent Dogbatse, Mr. Eric Hodgi and Ms. Tashanna Mullings in a scheme whereby Mr. Dogbatse and Mr. Hodgi convinced a bank employee, Ms. Mullings, to provide them with credit card information of clients of the bank that she worked for. Mr. Dogbatse and Mr. Hodgi then used the fraudulently obtained credit card information to purchase loads of flooring from American lumber companies. The scheme was successful because the American companies did not request to a copy, or seek to view, the compromised credit cards, but rather took the credit card information over the phone. Mr. Aremu picked up the truck loads of flooring products as they came over the border, and then diverted the fraudulently obtained products to wilfully blind Canadian retailers who agreed to buy the flooring products under dubious circumstances. Although the criminal courts had sentenced Mr. Aremu to a conditional discharge for possession of stolen property, the civil courts agreed with the plaintiff Gennett Lumber that such a sentence was an insufficient for liability for conspiracy to defraud. As Mr. Aremu had not been tried for criminal conspiracy, but had been sued and found liable for civil conspiracy, the civil courts imposed a punitive order on Mr. Aremu designed to address the societal concerns of specific and general deterrence. The $100,000 punitive order against Mr. Aremu was in addition to the $168,442.30 USD for the liquidated loss and costs of $10,000 Cdn. The plaintiff Gennett Lumber was represented by Norman Groot ofInvestigation Counsel PC. In a decision dated March 18, 2019, the Ontario Superior Court of Justice (civil courts) dismissed a motion for a Mareva injunction (freezing order) on the basis that the plaintiff’s claim did not meet the criteria necessary for the “rare and extraordinary” order. The Court published a classic line to support its reasoning: “Unlike the Queen of Hearts in Lewis Carroll’s Alice of Wonderland, who favoured execution before verdict, the common law strongly disfavours execution before judgment in civil cases (cases just about money). The case involved plaintiffs who sued the defendants for breach of a share purchase agreement and a for an oppression remedy. The plaintiffs sought an injunction to prohibit the defendants from selling its assets prior to a trial verdict. The Court held that the Plaintiff had proven it had a strong prima facie case that it incurred a loss, but that it had failed to meet the rest of the test for a Mareva injunction, being irreparable harm if the remedy were left to be granted at trial, and that there was a serious risk that the defendants would dissipate their assets before judgment. The plaintiff was represented by Guillermo Schible, Esq. View the reported decision of this case below. In a decision dated January 28, 2019, the Alberta Court of Queen’s Bench (civil courts) denied an application of the Plaintiff seeking an order that the third party respondents, Mr. Brown and Mr. Elliott, disclose to the Plaintiff what records they reviewed, where those records were, and to delete all on-line postings referencing confidential and / or proprietary information belonging to the plaintiff AARC. The Plaintiff also sought an order that Mr. Brown and Mr. Elliott attend a court examiner’s office to be examined on these issues. The Plaintiff was bringing its application in response to postings made by them on public online sites. The Plaintiff submitted that Mr. Brown and Mr. Elliott must have received their confidential information from one or more of the defendants, and that they would be hostile witnesses. The Plaintiff sought to trace and preserve evidence it intended to use against the defendants. The Court referred to the fraud case of AB ats CD, 2008 ABCA 51, wherein the Alberta court adjudicated on what is referred to as Norwich applications, being a form of pre-trial discovery from third parties. The legitimate purpose for Norwich (tracing) orders is to identify wrongdoers, determine whether a cause of action exists, trace assets and preserve evidence and property. Norwich applications can also be used to identify online users. Norwich applications can be brought before an action is commenced or during litigation. The Court held that Norwich orders are available when the third party has an equitable duty to assist an applicant pursue its rights, and to ensure that justice is done. In other words, the third party must be an innocent party who gets mixed up in the wrongdoing of others (like banks). In the AB ats CD case, the Court denied a Norwich application brought for bank information of persons who would not be defendants / simply be witnesses. In this case, the Court held that Mr. Brown and Mr. Elliott were not innocent third parties caught up in wrongdoing of others, but rather were witnesses that could be summonsed at trial. The Court further held that Norwich applications were not to be used as a tool to disprove the evidence of defendants or their witnesses prior to trial. The Court did not discuss the use of a standard motion on notice to compel evidence from a third party. It is unknown if this case is being appealed. The plaintiff AARC was represented by Grant Stapon of Bennett Jones LLP. Review the reported decision of this case, below. 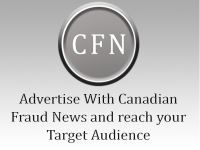 In a decision dated February 7, 2019, the British Columbia Provincial Court (criminal courts) heard an application from the Crown to use similar fact evidence in a fraud trial against the accused Jennifer Thompson. The Crown alleged that an unknown accomplice would phone a representative of a targeted bank purporting to be the primary account holder of a Visa card. The John Doe accomplice would request that a secondary user be issued a Visa card. The Crown alleged the accused was the secondary user. By slightly altering the name of the secondary user, the John Doe accomplice bypassed the security software that would normally trigger a fraud alert (that the same secondary user was being used too many times). The Court held that similar fact evidence is presumptively inadmissible in criminal cases as it may result in “propensity reasoning”. The onus is on the Crown to satisfy the Court that, on a balance of probabilities, the probative value of the evidence outweighs its prejudicial effect. The Court found that the accused was the secondary user identified in the first fraud count, and the question was whether the Crown had established that the accused was the secondary user in other accounts with the slightly altered names for a secondary user. The Court held that even on the low 51% balance of probabilities test that Crown had not established that the accused was the secondary users with slightly altered names in the other charges. The Court held that how the accused came into possession of credit cards with names slightly altered to that of her own was a “mystery”. The Court further held that it could not “be sure” on a “balance of probabilities” that the accused was acting in concert or in collusion with a John Doe accomplice, and that accordingly it would “dangerous” to admit the similar fact evidence in the case. It is unknown if this case is being appealed on the “being sure” on a “balance of probabilities” issue, or any other issue. The Crown was represented by Christina Godlewska. You can review the reported decision of this case below. In a release dated March 22, 2019, the British Columbia Securities Commission ordered Todd Bezzasso, Fiorino Corsi, Wei Liao, BGI Investments and Nexus Global Trading to attend for a hearing on the merits off allegations of securities fraud. The Securities Commission has alleged that Mr. Bezzasso raised over $5M through his companies BGI Investments and Nexus Global Trading. The scheme included giving investors post-dated cheques for the interest they were to receive. It is alleged that Mr. Bezzasso solicited investments when he knew that his companies did not have the ability to generate the returns promised, and that he made the interest payments with the funds received from new investors (a Ponzi type scheme). It is further alleged that Mr. Corsi and Mr. Liao solicited funds for the companies when they knew the companies were already not meeting its interest payment obligations. Promissory notes, which are typically loan contracts, may be viewed as securities in certain circumstances. Here the notes were to generate funds to be used for specific purposes with a view to generating a profit. It was represented by the respondents that the investor funds would be used by the company for its operations to generate monthly income flow, but unbeknownst to the investors, during this time their funds were being solicited the bankers of the companies had closed its accounts for kiting. It also alleged that the companies did not have established and proven product lines as represented, but rather the companies were new businesses with no history of a steady cash flow and no guarantee of sales for their products. You can review the notice of hearing for this case below.